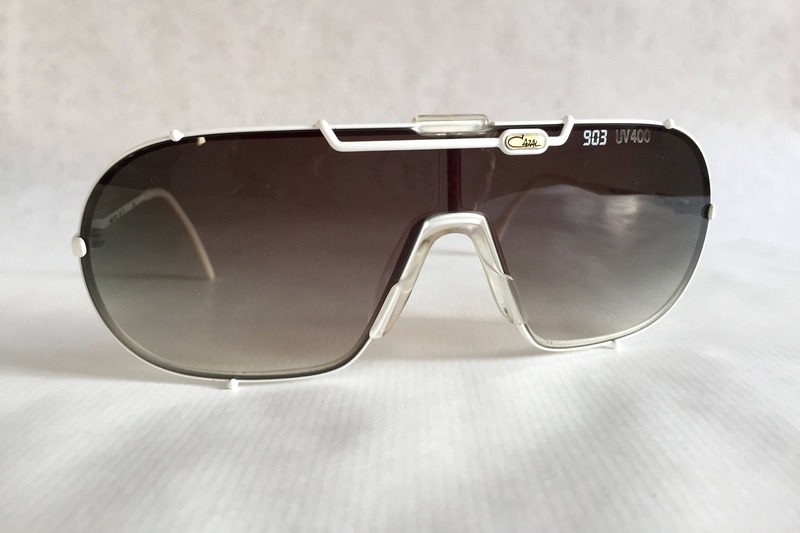 Made in West Germany in 1986. 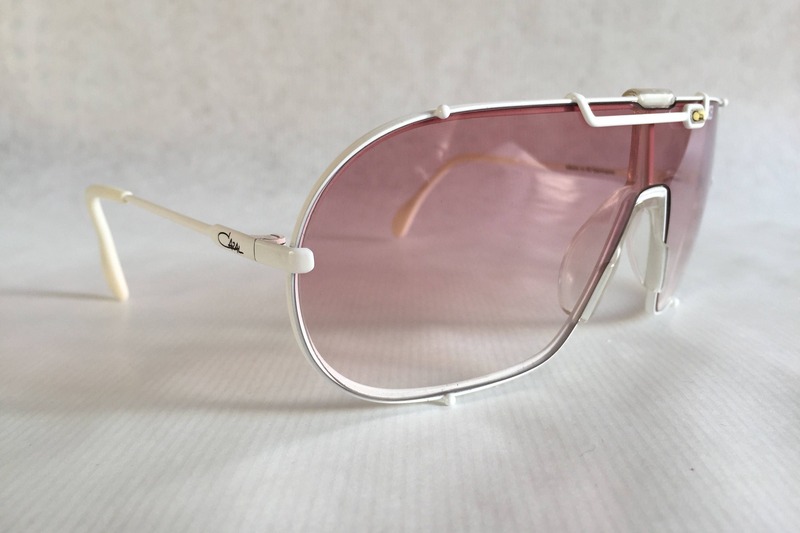 Frame and lenses are in new unworn deadstock condition. 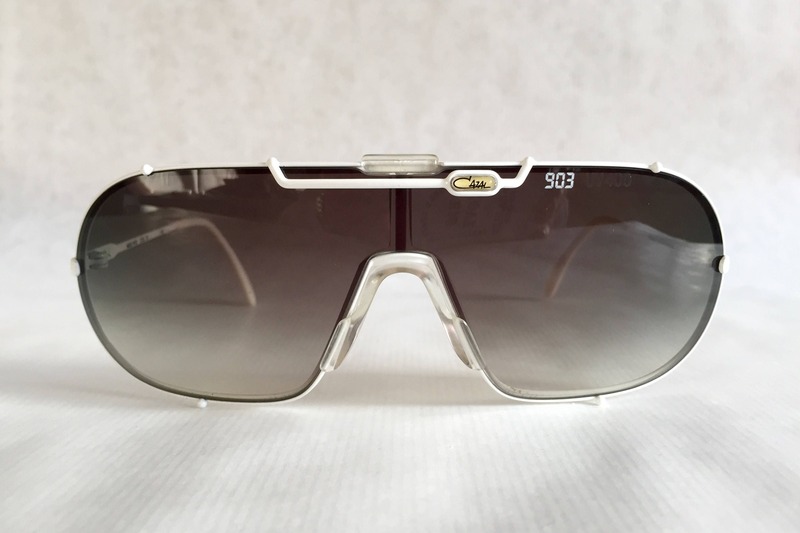 The 903 is one of the most iconic designs by Cari Zalloni. 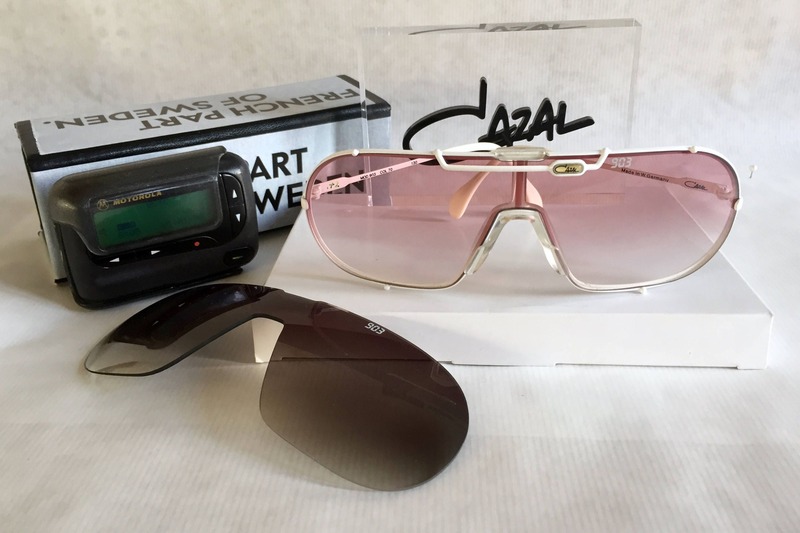 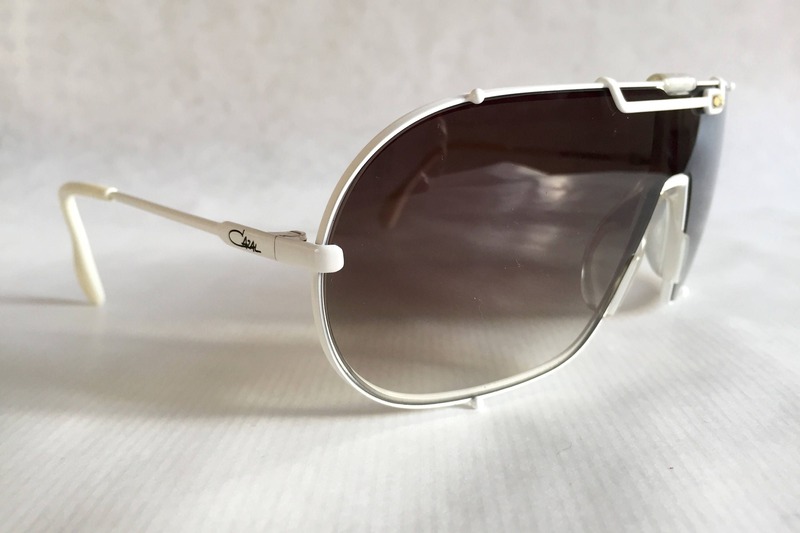 the interchangeable shield lens is held together by pins at the bottom and a browbar with a Cazal logo pill on the top. 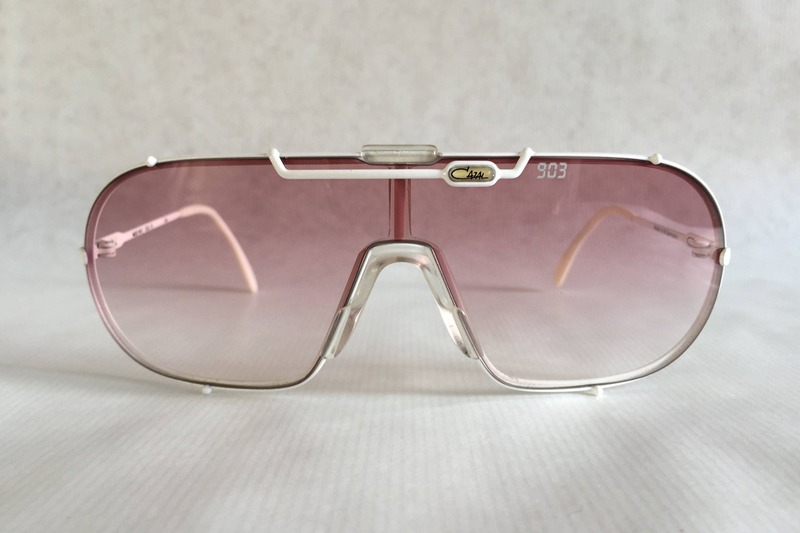 An instant classic that has embellished the faces of style aficionados for decades. 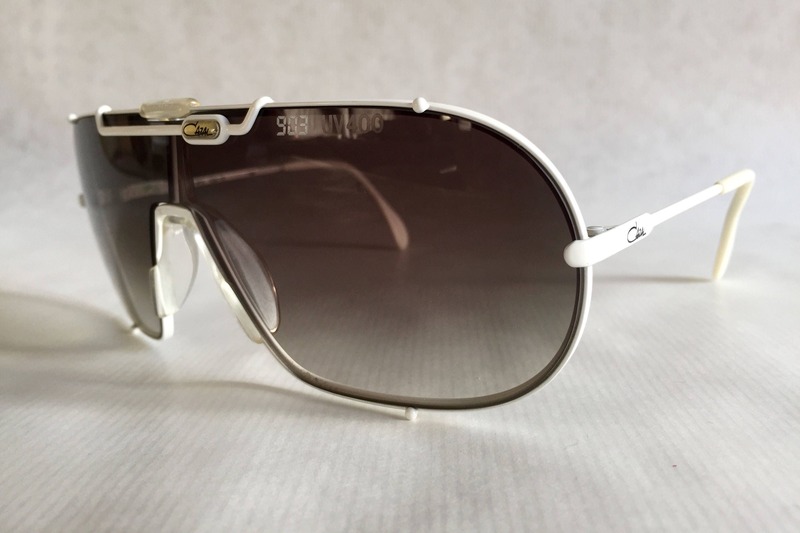 As worn by Rick Ross, Will.I.Am and many others throughout the last 30 years. 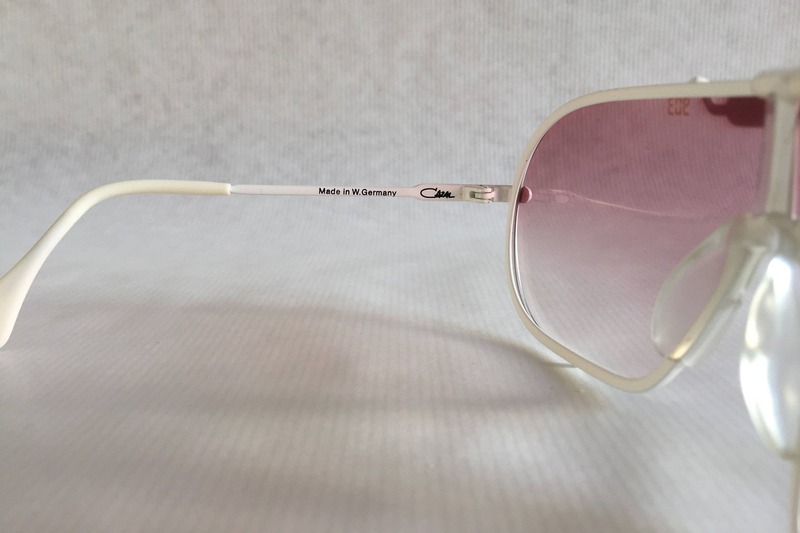 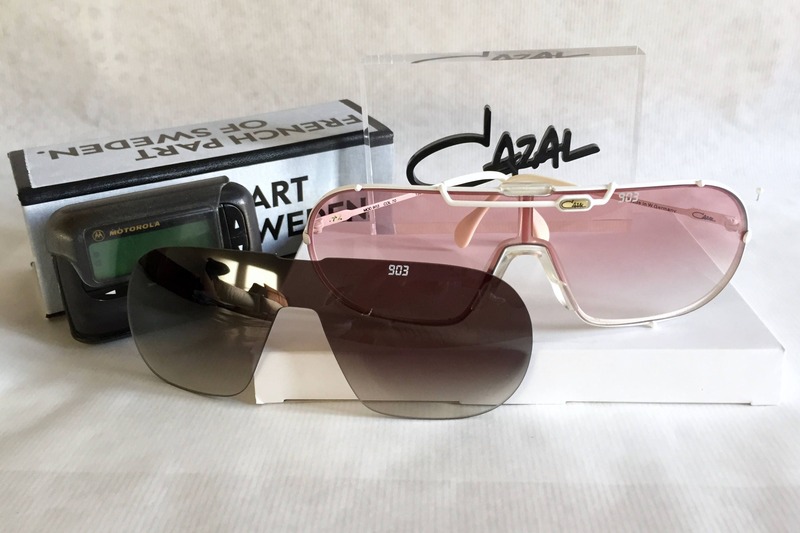 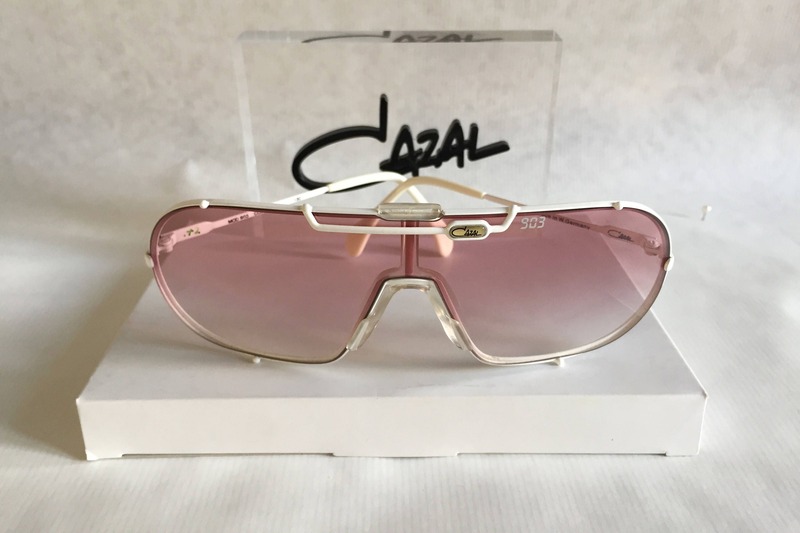 Original pink gradient and grey gradient Cazal Lenses with "903" logo and 100% UV protection.